French painter, son of Jean-Henri Riesener (1734-1806), French cabinetmaker of German birth. His son Lon Riesener (1808-78) was also painter, and he was the uncle of Eugene Delacroix. He specialized in portraits and was also known as a miniaturist. 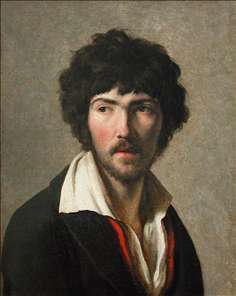 He studied with Jacques-Louis David, and exhibited in Salons from 1793-1827. After a certain success in Paris during the Empire, he worked in Warsaw then became a brilliant court portraitist at the court of the Tzar Alexander between 1816 and 1823. 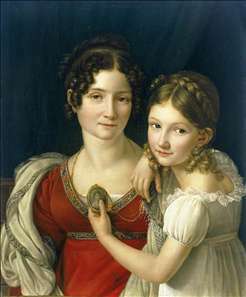 See more details about "Mother and Her Daughter"
See more details about "Portrait of Maurice Quay"